Covering a wine world increasingly aware of the many factors that go into each glass. When we began to think about the scope of the wine editorial for Edible Communities, first we focused on the community itself. What are our values? What do our readers care about? How does wine fit into the conversation? Then we looked at the larger world of wine publications and asked how we could deepen the dialogue in a way that aligns with the values of the community we serve. The Venn diagram practically drew itself. The intersection of a readership attuned to local stories of farmers, chefs, food artisans, fishers, vintners and home cooks, with a wine world increasingly mindful that fine wine is made in the vineyard through natural processes that bring balance to the vine and the surrounding environment, trained our lens on sustainability and American and Canadian wine. Sustainability may seem like one those messy shapeshifting terms that means different things to different people, but in 1987, the United Nations World Commission of Environment and Development published the Brundtland Report, which defined sustainability as that which, “meets the needs of the present without compromising the ability of future generations to meet their own needs.” In the context of wine, it encompasses everything from protecting the environment to protecting farm workers; from maintaining biological diversity to maintaining economic viability; from conserving water to avoiding soil contamination; from recycling to social responsibility; from best practices in the vineyard that yield fruit of exceptional quality to carbon neutral wineries; from knowing the properties in a glass to understanding how wines interact with our bodies. In defining an end goal while taking on a broad range of issues, sustainability has the potential to be a lodestar for inquiry into best practices, rather than a source of division that goads interested parties into narrow philosophical camps. Before settling on sustainability as a point of departure, we stopped to consider whether we should be writing exclusively about organic, biodynamic, and natural wines—categories that set a high bar for the level of care and consciousness required by the producer, categories that get lumped together so often it becomes difficult to parse the differences among the terms: in the U.S. organic wines are made from organically grown grapes; biodynamic wines are made with fruit grown according to protocols prescribed by the Theosophical philosopher Rudolf Steiner; natural wines refer to non-interventionist practices in the cellar). It was an important pause. The standards and ethics that inform the organic, biodynamic, and natural wine movements set the agenda for most of what we cover. These tenets will be woven throughout our wine editorial and individually explored. However, the politics of labels are complicated, even labels that represent venerable ideals, and many of our country’s most meticulous vintners do not adhere to a prescribed set of rules. So, under the broad architecture of sustainability, we are introducing some of the topics we will explore. When it comes to looking at work in the vineyard, we have two goals. First, to bring you closer to aspects of winemaking that are subtle and gorgeous and too often outside the public view. For instance, vines are often at their most picturesque in the weeks after harvest when the leaves perform their last act of photosynthesis, storing energy gleaned from the autumn sun before going dormant for the winter. It is a moment worthy of attention as it draws us deeper into an important but little-noticed phase of the cycle of the vine. Second, we will begin an ongoing dialogue with winemakers and vineyard managers about innovative natural solutions for maintaining vineyard health, often in the face of a changing environment. We will compare soil erosion issues facing vintners staving off wildfires in the Santa Rita Hills to soil erosion issues facing vintners recovering from hurricane-induced floods in Virginia. We will also learn more about the revolutionary pruning practices developed in Friuli, Italy that are improving the health and extending the productive life of vines the world over, and in so doing saving vast amounts of water and improving wines by yielding more nuanced fruit. Wine does not exist in a vacuum. With the exception of a few professionals, most of us taste and analyze wine to find bottles to serve with foods we love. In this context, it comes as no surprise that in terms of trends, wine is generally a half a generation behind the food world. Organics are a perfect example. Long after organics were an established staple in kitchens in homes and restaurants, consumers gave little thought to sustainable or organic vineyard practices. The assumption was it didn’t matter since, the French Paradox notwithstanding, drinking wine had little to do with health. 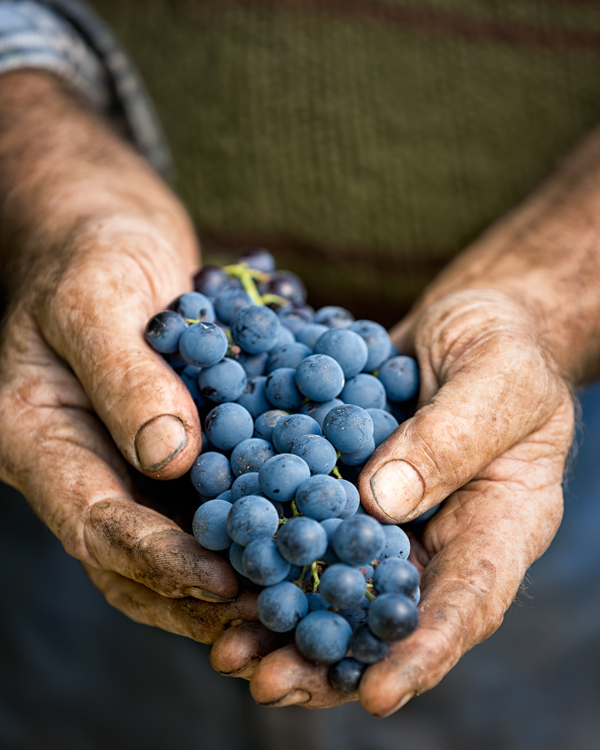 Now that we are used to considering all types of farming in terms of personal and planetary well-being and to linking conscious farming practices with quality produce, there is an intuitive understanding that wines made from sustainably cultivated fruit reveal different qualities than wines made from vineyards that are commercially farmed. Typically, sustainable wines favor clarity, freshness, and depth over extraction and heft, qualities that compliment farm-to-table cooking in a wide array of cuisines and cooking styles. Today, there is a perceptible shift from not only eating healthy foods but to also consuming foods that actively promote health and help bring our bodies into balance, as in the mainstream acceptance of superfoods like quinoa and fermented vegetables. With this in mind, we are going to seek out expert advice to demystify the health claims being made in the name of wine. For example, we will ask: What is resveratrol? Where on grapes is it found and how and why is it believed to reduce inflammation, cholesterol and glucose levels? The same questions will be asked of polyphenols in general, particularly as it pertains to cardiovascular disease, oxidative stress, and digestive health. We will also examine what types of wines preserve high levels of these helpful actors and what types diminish their presence and counteract their efficacy. Sustainable winemaking extends well beyond vineyard practices. It engages every decision made while the grapes are in the care of the vintner. This includes, whenever possible, designing wineries that are low-impact and environmentally friendly. It also includes packaging and shipping, which play an immense role in preserving wines as well as their evolution, aging potential, and overall carbon footprint. Our first article in this category will be on bottle closures, the unsung heroes of the wine world, an afterthought charged with nothing short of ensuring the condition of a wine from the moment it is bottled to the moment it is poured. Finally, what would wine editorial be without recommendations? American wine has never been better and is nowhere near the apex of its potential. With a renewed focus on farming and matching varietals to soil and climate, along with a spirit of openness and experimentation, the sector is reimaging what is possible. If you formed your opinion of Willamette Valley Pinot Noir a decade ago, taste again. There is a move toward vitality, precision, and elegance in its small production wines. If you assume the signature white of Napa is Chardonnay, look at the Sauvignon Blanc, it has a lot to say about what thrives in the valley. Better yet, lift your gaze and check out one of the fascinating wines being harvested from hundred-year-old vines found in pockets throughout California, or sample Riesling from the Finger Lakes, or Nebbiolo from Virginia, or Cabernet Franc from Long Island’s North Fork. We are poised to taste broadly and share the best of what we’ve learned. The current scale of wine production in America is enormous. According to Wines and Vines, in 2017 U.S. wine sales exceeded 62 billion dollars of which 41 billion dollars were spent on bottles that were domestically produced. This represents more than 300 million cases of wine, driving home why sustainability practices are of vital importance. It is no longer enough for a wine to be balanced in the glass. It has to be in balance with its vineyard and a good neighbor who cares about the local water supply and the community from which it draws its workforce. It must recognize itself as part of a holistic system that ultimately brings us together at the table. It’s why here at Edible, we are going to report on fine wine and make recommendations in the context of sustainability. Dusting off a bottle to swirl, sniff, and taste is the end of the dance, the last moment of a vast and wildly interconnected set of choices that impact all of us.